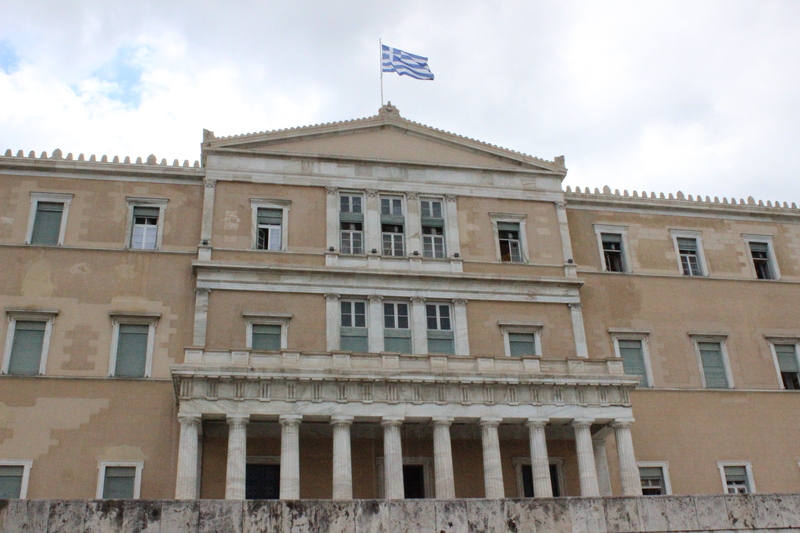 The Hellenic Parliament, the Greek Parliament overlooking Syntagma Square in central Athens, where members face one of the most challenging crisis in contemporary Greek history. 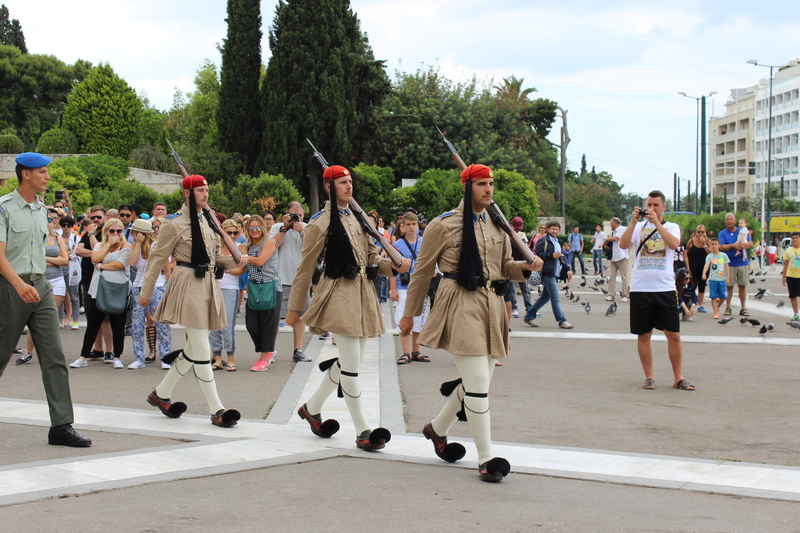 The Evzones, the honor guards, on their way from the ceremonial changing of the guard in front of the Hellenic Parliament and a leading Athenian touristic attraction. 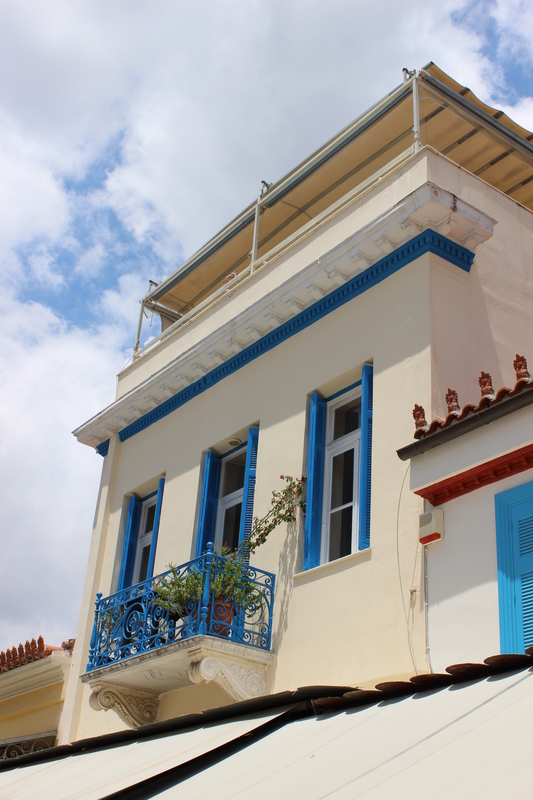 The postcard-like blue and white facades Greece is so well-known for are never too far away, even from Athens’ city center. Plaka, Athens. 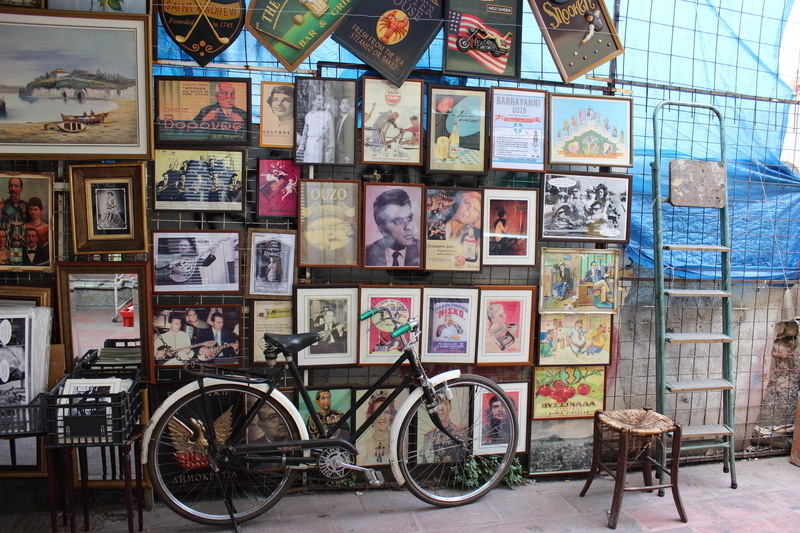 There’s the ancient in the museums and the old in the flea market….Monastiraki Flea Market. 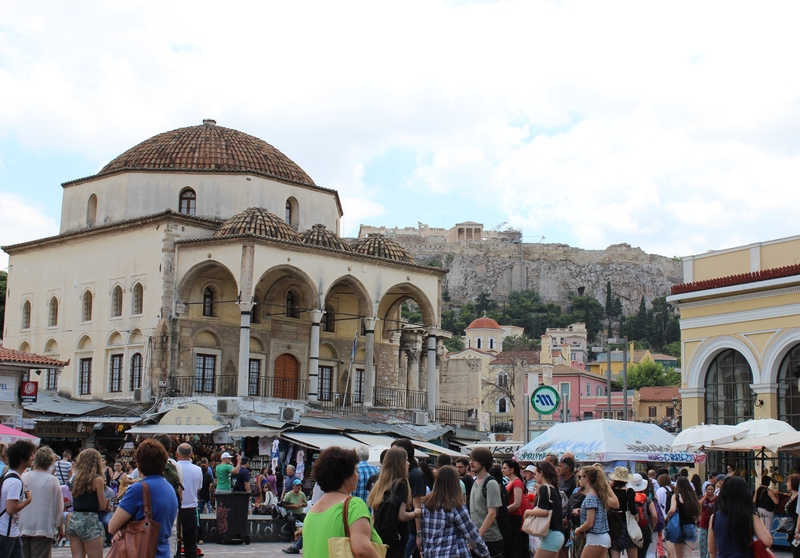 The Acropolis, always in Athens’ background, no matter where the crowds go. 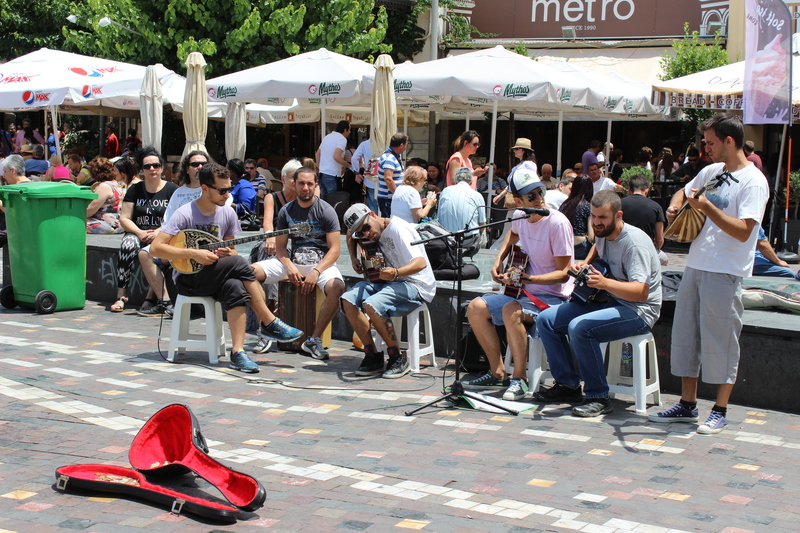 Monastiraki Square. Never a bad time to go to sea. 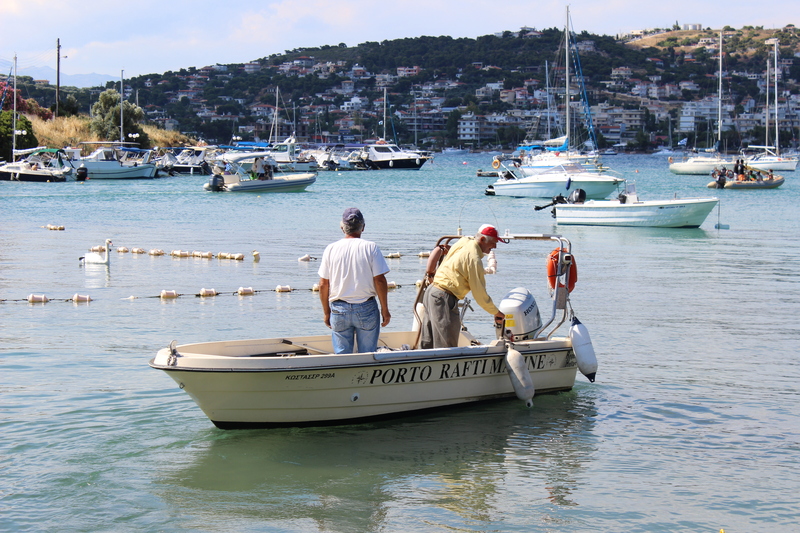 Porto Rafti, Aegean Sea. 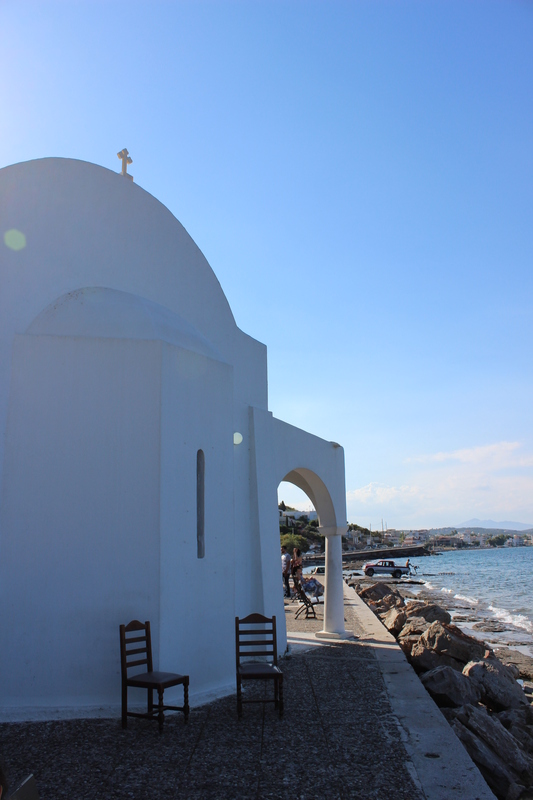 They said it was the church of Saint Marina, but the only God I saw was Poseidon, the God of the Sea. Porto Rafti, Aegean Sea. 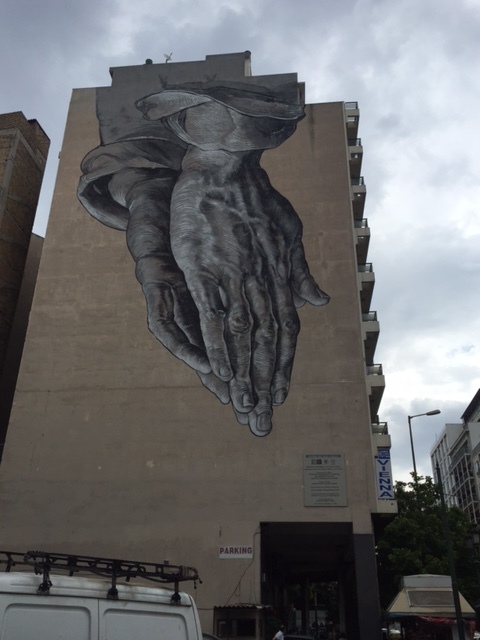 Just one of many captivating street art representations in Athens. Omonia, Athens. 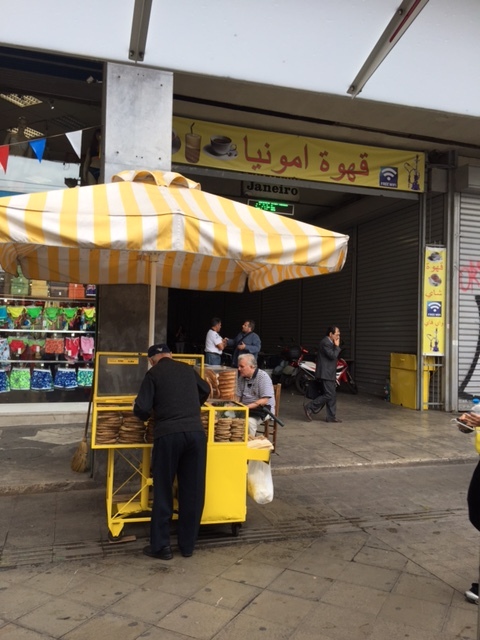 “Omonia Coffee Shop” because Arabs are never too far away. Omonia, Athens. 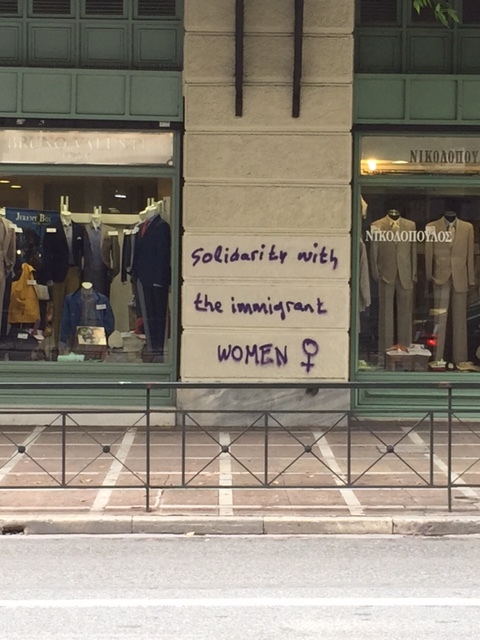 “Solidarity with the immigrant Women.” In the midst of its own financial crisis, Greece has also had to deal with thousands of migrants fleeing horrors across the Mediterranean. 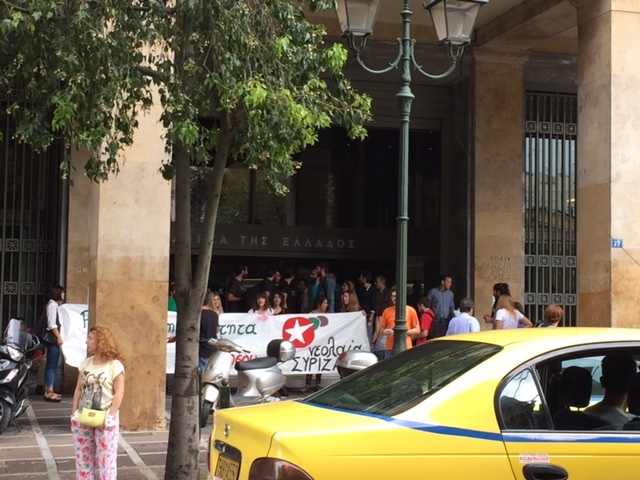 Panepistimio, Athens. In times of crisis, protest. Panepistimio, Athens. 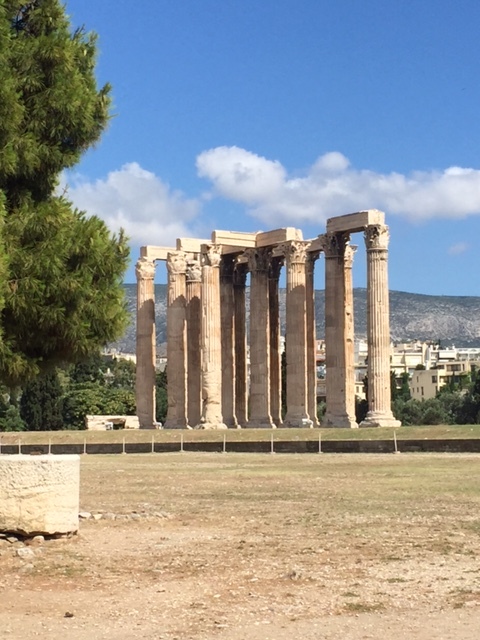 The Temple of Olympian Zeus, in central Athens. Where are the Gods when you need them?